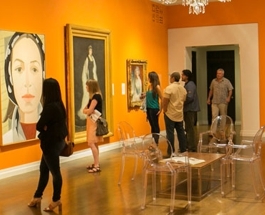 For information on the Honolulu Museum of Art Café on Beretania Street, click here. Enjoy coffee and lunch in a gallery-like atmosphere amid changing displays of art—BATIK: An Exhibition of Work by Liz Train and Students is on view until March 3—or sit outdoors in a garden-like setting. At the Spalding House Café, you can BYOB; there is no corkage fee. Chef Susan Lai Hipp's menu features contemporary, Mediterranean-accented fare. Pictured above are the panzanella salad, mezze platter, pasta and deviled eggs. Supporting members and above receive a 10 percent discount.